From her early childhood, Hannah has been enthralled by living history museums. One museum that made an incalculable impression on her as a child is the Harn Homestead in Oklahoma City. 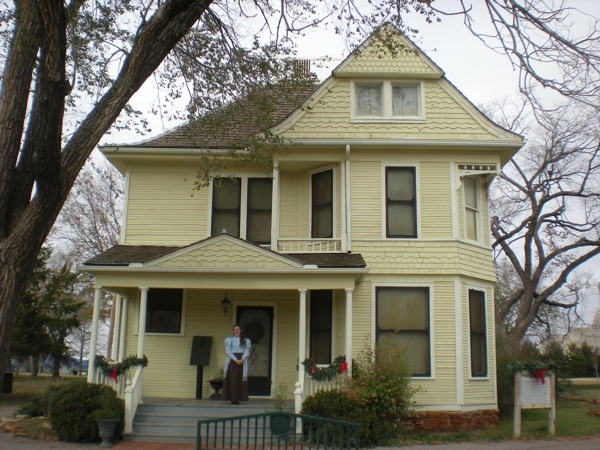 Hannah and her sisters would each become very excited as the date drew near for them to dress up in old-fashioned costumes and, carrying their pioneer-days lunches along with them, travel back to Oklahoma territorial days, on original land-run property, to learn in the one-room schoolhouse and experience life on the homestead ranch. Despite the Harn’s location nestled snugly between the state capitol and downtown skyscrapers, the annual field trip to the Harn offered a rich, multi-sensory trek back into the past. Even on a cold winter day, it was one of the most eagerly anticipated school experiences of their school year. This past semester, as part of her multidisciplinary degree program at OU in creative pedagogy, Hannah served as an intern at the Harn. Each week we delighted in hearing her stories, this time told not from the child’s point of view, but from the complementary perspective of an educator and behind-the-scenes worker. 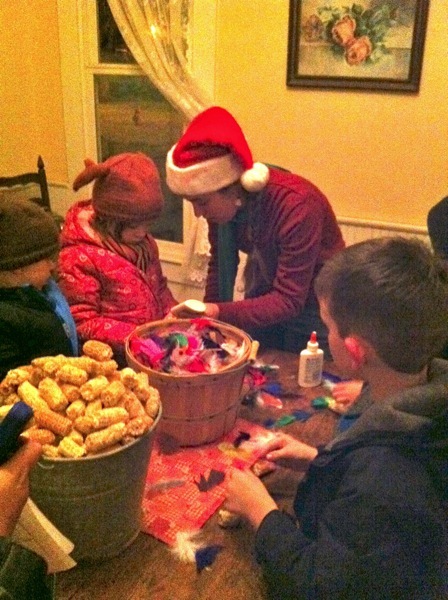 At the Harn’s annual Territorial Christmas Celebration, we very much enjoyed the evening’s activities and revelries, including the opportunity to observe Hannah interacting with kids in the Harn house, helping them assemble their own corn-cob darts (below). Thanks, Hannah, for sharing these experiences with us! And a special thanks to the folks at OU and at the Harn – David, Alison, Melissa, and others – who made it possible for Hannah to experience such a singularly rewarding and illuminating internship! Love this!! I had the pleasure of reading Hannah’s account while seated next to her this evening. 🙂 I can’t wait for even more wonderful stories over the next few weeks. Can’t wait to see you soon, too! !